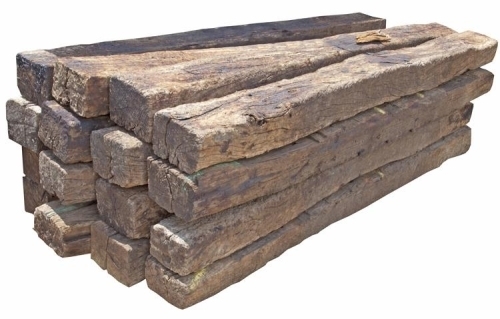 Railroad ties can be a pain to dispose of in certain areas. Most landfills, transfer stations, and dumpster companies will not except them. The main factor to this issue is the weight and that they are treated with Creosote. A standard tie is 8' long, 6.5" high, and 8.5" wide and weight anywhere from 140 - 200+ lbs. Because of the weight if you were to fill a dumpster it would most likely put the dumpster over it's haul away weight. Creosote is considered a possible human carcinogen and does contain hazardous chemicals, but the EPA does not regulate the disposal. This means that disposal regulations are handled by state and local governments; privately owned disposal sites can have their own regulations. The best way to determine how to dispose of them is to call a local landfill/transfer station or call a local dumpster rental company to see if they can dispose of them.